Scratch ’em and sniff ’em for a burst of fragrance! 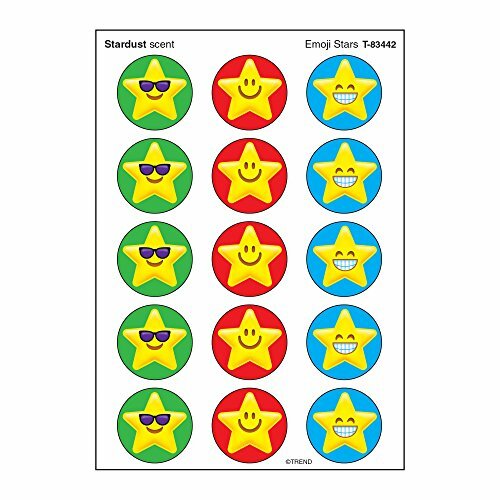 Everyone's favorite stickers, Stinky Stickers are fun to collect or use to motivate and reward. 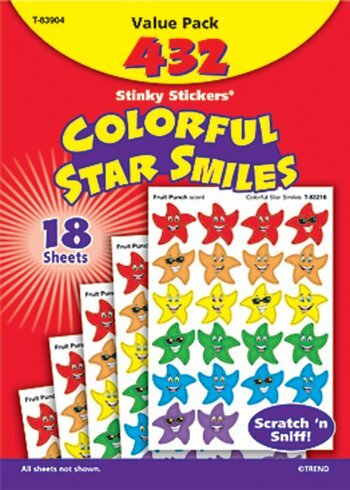 Designs include Colorful Star Smiles in red, orange, yellow, green, blue, and purple. Designs may vary. Acid free, nontoxic, and safe for use on photos. 24 designs, 432 stickers, 1 scent. Everyone's favorite stickers! fun to scratch and small. Great for collecting, Trading, and celebrating. Acid free, nontoxic, and photo safe. Each Pack contains 60 stickers in 3 designs. 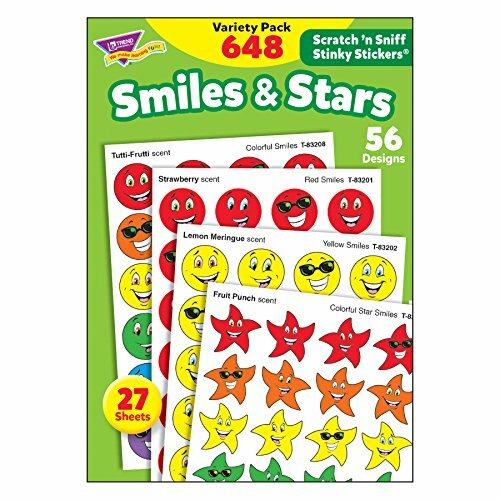 Sold as 12 packs for a total of 720 stickers. Scratch 'em and sniff 'em for a burst of fragrance! Great as rewards, incentives, and collectibles. Acid-free, nontoxic, and safe for use on photos. 18 sheets, 432 stickers. Actual sticker sheets may vary from photo. * Scratch 'em and sniff 'em for a burst of fragrance! Great as rewards, incentives, and collectibles. Acid-free, nontoxic, and safe for use on photos. 18 sheets, 432 stickers. Actual sticker sheets may vary from photo. 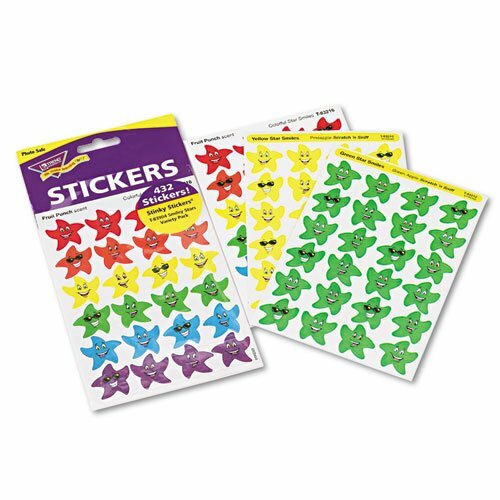 Scratch them and sniff these Stinky Stickers for a burst of fragrance. 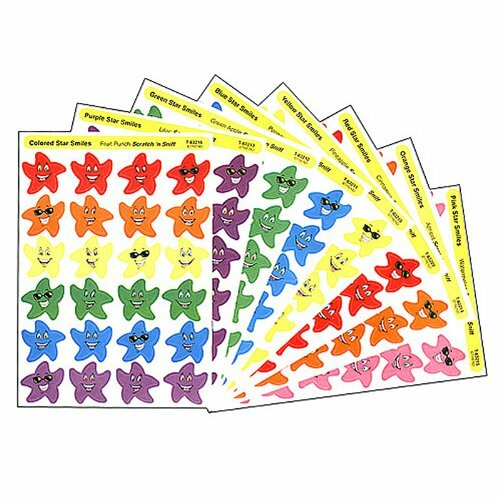 Stinky Stickers in this variety pack are fun to collect or use to motivate and reward. 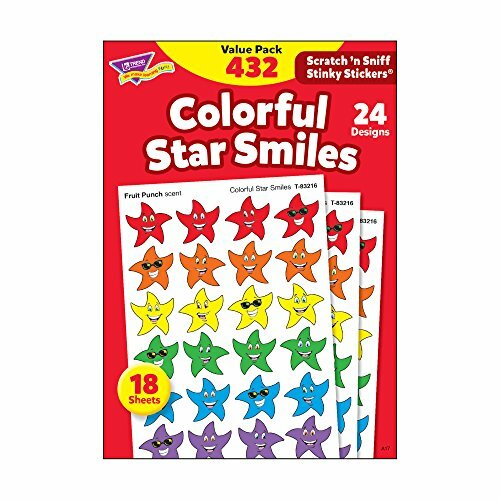 24 designs include Colorful Star Smiles in red, orange, yellow, green, blue, and purple. Acid-free, nontoxic stickers are safe for use on photos. Actual sticker sheets may vary from photo.